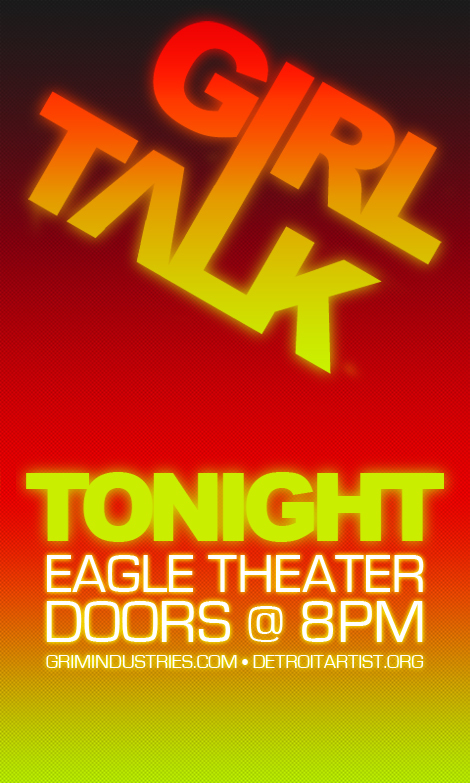 Join Christos and I at Girl Talk this evening! This entry was posted on Tuesday, November 11th, 2008 at 5:25 pm. It is filed under Events, Live Event, Local, Music, Photo. You can follow any responses to this entry through the RSS 2.0 feed.